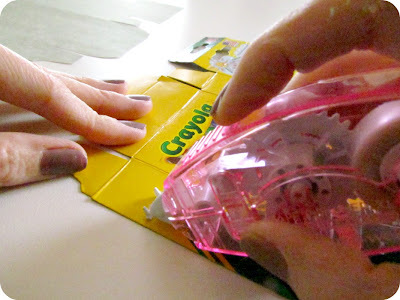 If all has gone according to plan I should be back from Australia by now, but I'm pretty sure I'll still be getting over jet lag and might not have done much crafting so I'm playing it safe it doing one last Flashback Friday post for you. 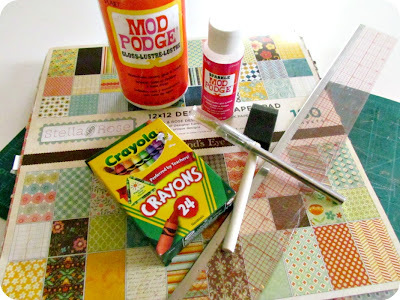 I was going to take a little break from blogging today, but as most of you know, blogland doesn't sleep (or take holidays) so I figured I'd share this fun little Mod Podge craft I made up for part of my niece's Easter gift. 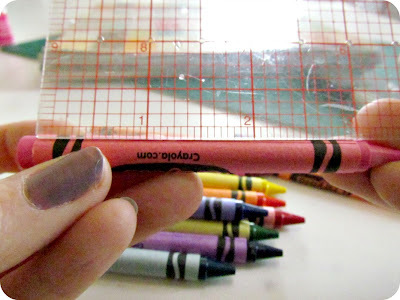 1) Measure the paper on the crayons to figure out how big to cut out your own papers. 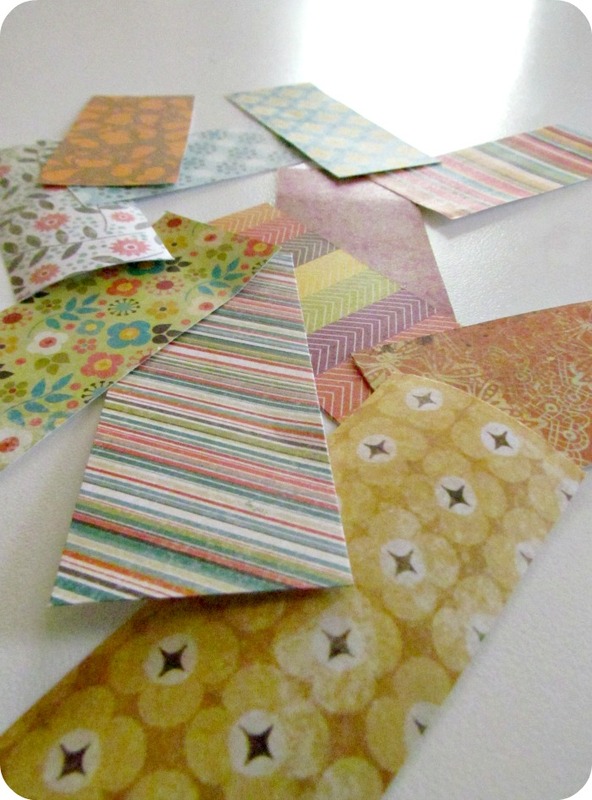 2) Cut out some pretty papers to match your crayons. 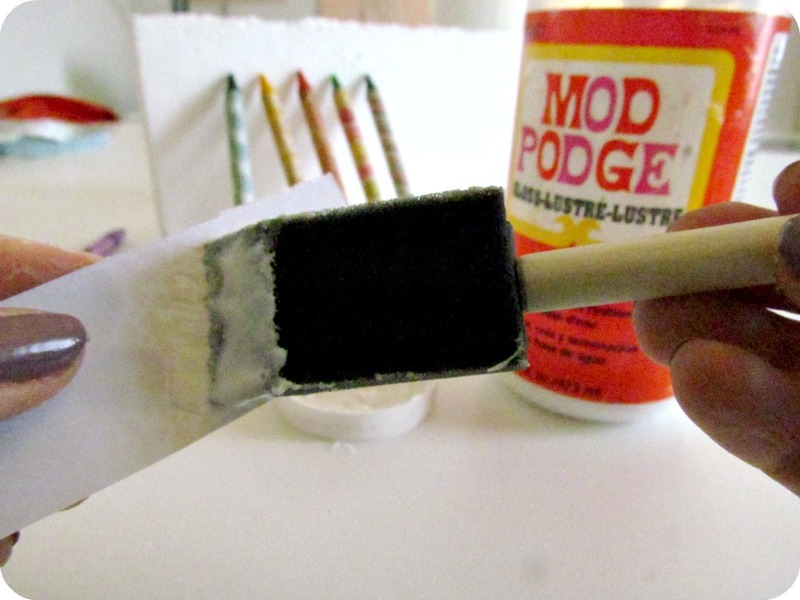 3) Use your sponge brush to paint Mod Podge onto the back of your paper. 4) Wrap the paper around your crayon. 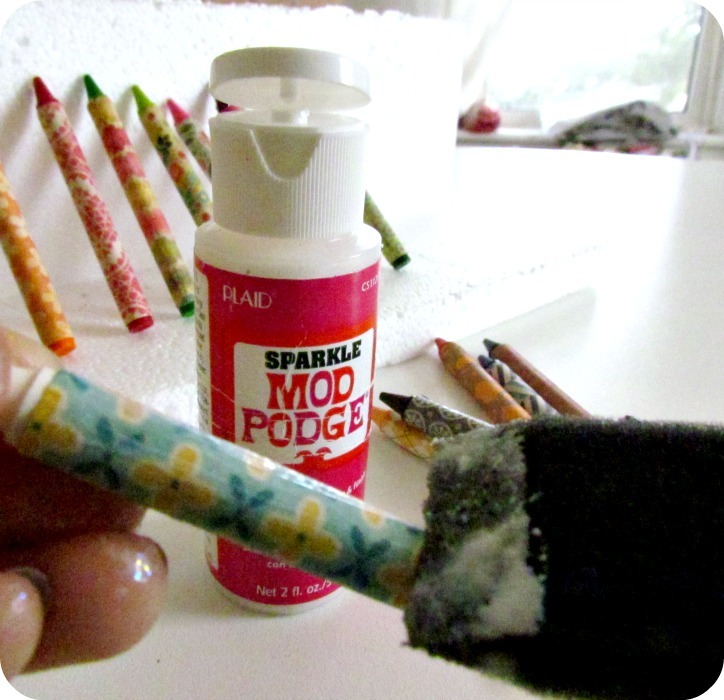 If you want to add some sparkle too, just use your brush to gently paint on the Sparkle Mod Podge to the outside of your paper. 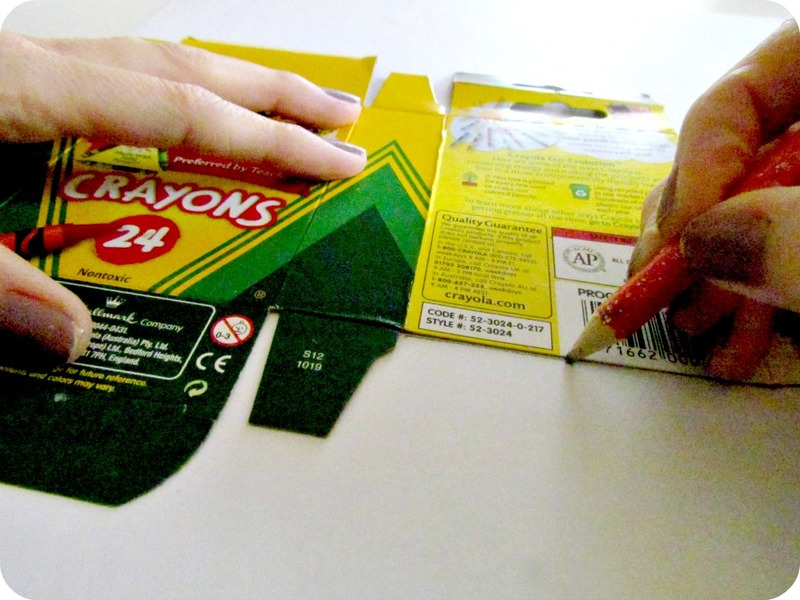 Be careful not to get it onto your crayons. Now again, you can be done right there. But if you want to make these crayons extra, extra special, take apart the box they came in, trace the shape onto some pretty paper, and cut it out. 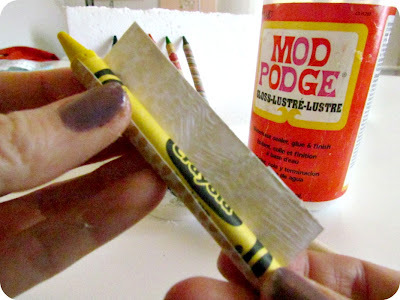 Glue the paper onto the outside of the box and put it back together again. 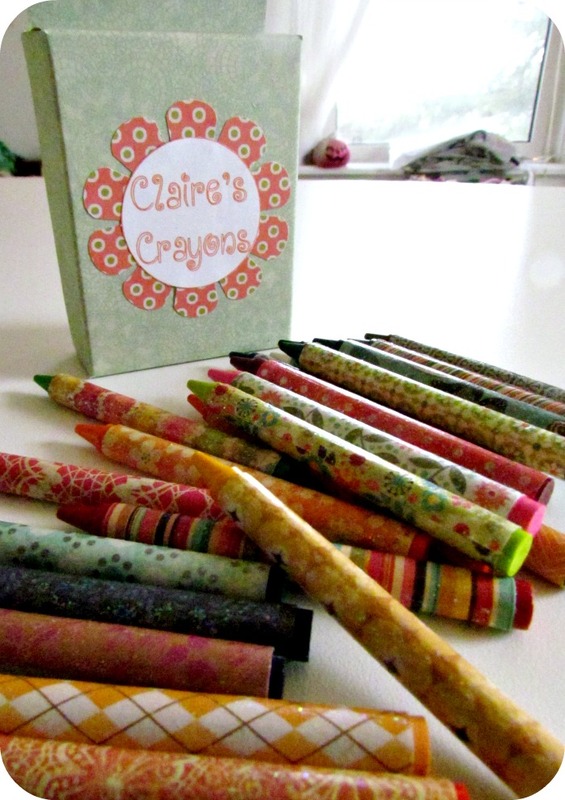 My niece loves to colour anyway, but I hope she'll really love it with her very own personalized crayon pack. My niece is a little older now so I think I'm going to make her a new set of these using pencil crayons. 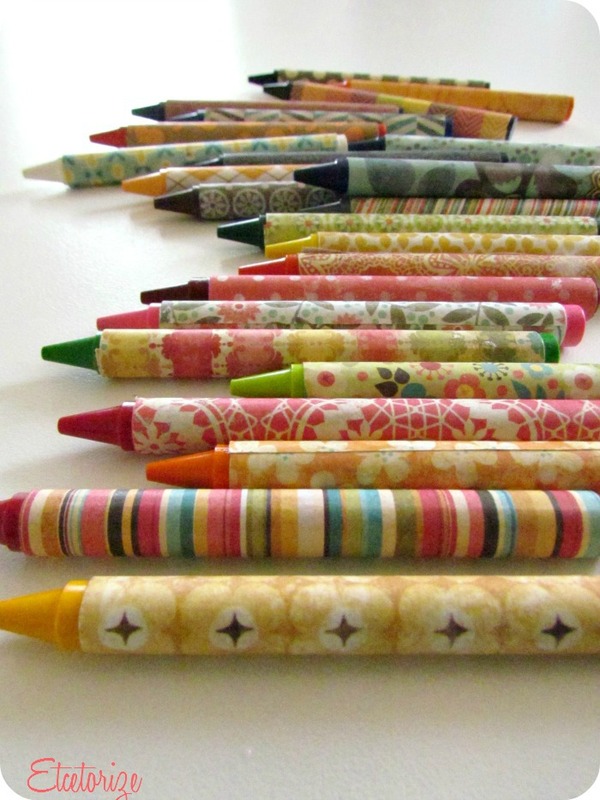 I'm almost certain I have a set of unused pencils in my stash somewhere. I hope you've enjoyed the trip back through old projects over the past month. If you want to find more projects that I you might've missed the first time around, just go up to the top of the page and click on the Tutorials or Show and Tell tabs for hundreds of more ideas! I'll be back next week with the low down on my trip and a new project. Have a crafty week everyone! 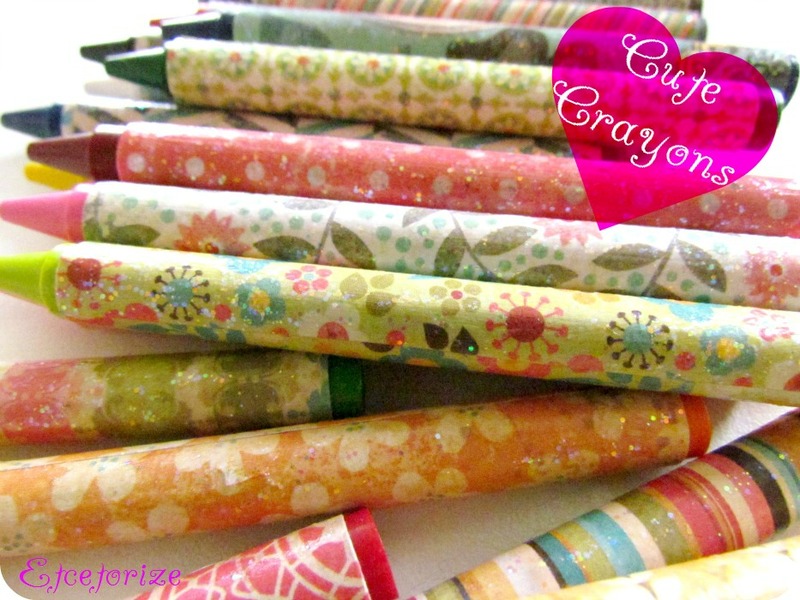 Extremely cute crayons! I could try those with my vintage wallpaper....thanks for the inspiration, Tamara!